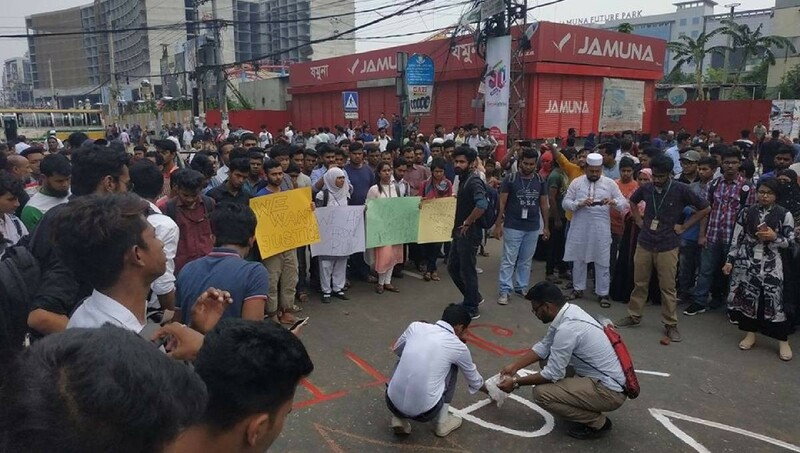 Students of different private universities blocked the road in front of Jamuna Future Park following the death of a student of Bangladesh University of Professionals (BUP) in a road crash in Nodda area of Pragati Sarani in the capital on Tuesday morning. Angered by the accident, students from North South University, Independent University of Bangladesh, American International University of Bangladesh and others took to the street and blocked the road, halting the traffic movement from Kuril Bishwa road to Bhatara. Dhaka North City Corporation's (DNCC) mayor Atiqul Islam went to the area and talked to the protesting students.